The Deck Cost Guide provides the most complete decking material information you’ll find anywhere. Our readers put our information to use in a variety of ways. Research Decking Materials: Learn about the makeup of each material, how it is processed or manufactured and what types of decking it is used to produce. We’ve created comprehensive guides for each of the most common deck materials including pressure-treated wood, cedar, composite, vinyl, tropical hardwood like ipe and many more. Compare your Options: The information can be used to compare decking choices head to head in all the important areas such as pros & cons, durability, maintenance and care. Find Decking Prices and Estimate the Total Project Cost: Each of our decking guides includes cost ranges for both material and labor with factors that will affect the estimates you receive from local deck installers. Discover Top Brands: We include a list of the leading brands for each material, and this allows you to dig much deeper into your research. Get Answers to your Questions: Each deck guide has an FAQ section with answers to common questions about deck installation, durability, comparison to other materials and much more. You can also use our contact form to ask a question that one of our experts will reply to. Knowing what type of deck you want is half the equation. It is just as important to find an experienced deck installer you can entrust to build the deck. The quality of the deck installation will affect how it looks, its performance and how long it will last. The service we offer from our partner Networx is completely free to use, and there is no obligation to accept any of the estimates you receive. Networx makes referrals to screened, qualified deck builders in your area who know that they are competing for the job. You’ll receive three written estimates to compare, and all it takes is filling out one simple form with a few details about your project. The process gives you the opportunity to review competitive bids from some of the best deck builders where you live without cost or obligation. Our list of decking material guides gives you lots of options for starting your research. All of today’s most popular materials are there from affordable pressure treated lumber and cedar to high-end PVC and aluminum to exotic choices like ipe and other tropical hardwood decking. 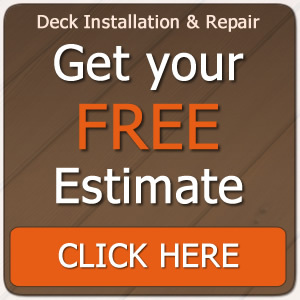 And when you’re ready to get deck installation estimates from top deck builders where you live, we make the process fast and free with no hassle at all. In the meantime, browse our pages for deck ideas and information, and use our contact form to let us know how we can improve your experience on the Deck Cost Guide!